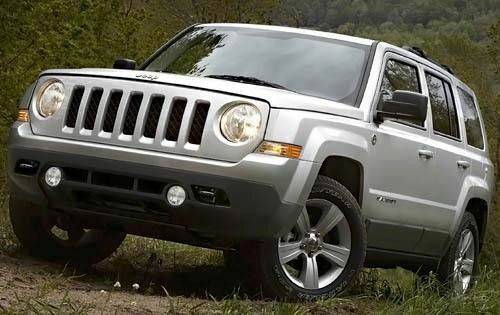 The NHTSA probe concerns 112,000 model-year 2011-2012 Jeep Patriot SUVs. The National Highway Traffic Safety Administration announced on Friday that is beginning an investigation into 112,000 model-year 2011-2012 Jeep Patriot SUVs due to engine stalling problems. The NHTSA has received 12 complaints so far, the majority of which involve vehicles stalling at speeds of 65 miles per hour or more. All complaints allege that the vehicle could not immediately be restarted. In fact, eight Patriot owners reported that the vehicle could not be restarted at all and were towed. All but three of the complaints were reported in the last six months. One case resulted in a crash and injury, according to the NHTSA. The NHTSA’s probe may result in a recall of Jeep Patriot SUVs if the federal agency deems it necessary. NHTSA investigations generally take six month to a year to conduct. Highway stalling issues are not a new occurrence for Chrysler. In 2007, the automaker was involved in two stalling investigations in which the NHTSA probed certain Jeep Commander and Jeep Wrangler SUVs. After concluding both probes, the NHTSA determined that a software glitch was responsible for the stalling. The Commander investigation resulted in the recall of 24,461 model-year 2006-2007 SUVs, while the Wrangler probe led to the recall of 81,000 model-year 2007 Wrangler and Dodge Nitro vehicles. Although stalling on the highway is a startling scenario, there are several steps drivers can take to ensure their safety. Drivers should attempt to pull their vehicle to the side of the road at the first indication of an impending stall. When pulled over, drivers should turn on the vehicle’s hazard warning lights, which are a universal distress sign. If your vehicle stalls in the middle of the highway, you should turn on the hazard lights once the vehicle comes to a complete stop. The most important thing to remember is to never get out your vehicle. At this point you can wait for help. Also, remember to watch oncoming traffic. If your vehicle is on level ground, it is advised to leave the car in neutral rather than park. If rear-ended, the resulting impact will be less severe if in neutral.